These hot tips make selling a home during colder months very merry. Selling a home during the holidays can feel like a challenge. From winter weather to deciding whether to decorate or not, there are certainly some obstacles. Here is excellent advice from the experts from our global network of Coldwell Banker agents, brokers and offices. 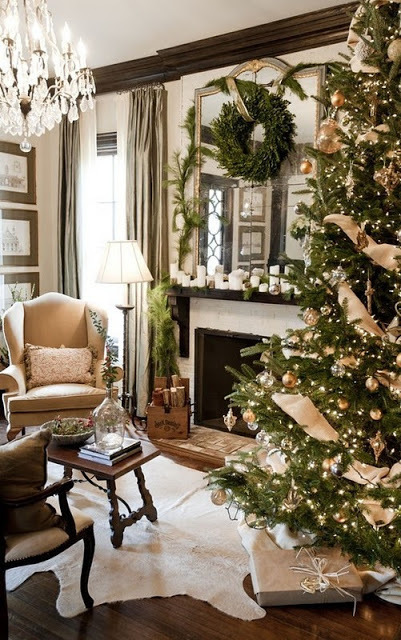 Keep it Classic “Should I decorate for the holidays?” This is an extremely common questions for home sellers. It may be family tradition to “deck the halls” across every square inch of your house, but, if you are trying to sell your home, it may be better to scale back. When selling a home, it’s important to present it in a way that others can see themselves living in. Use the holidays to create warmth in your home. “I think lights and color can warm anyone’s heart,” says Heather Ostrom, a Realtor® with Coldwell Banker Sun Ridge Real Estate in Roseville, CA. With the right touch, holiday decorations can create an emotional attraction for a buyer to your home. A cold, undecorated home can’t compete with one that has the fireplace roaring, the smell of fresh baked cookies, and elegant, yet festive décor. Less is More The holidays can be hectic which means time you normally spend cleaning may be spent at the mall and holiday gatherings. It is important to stay on top of keeping you house clean and tidy, especially if you decide to decorate. Andrea Geller, a Realtor® with Coldwell Banker Residential Brokerage in Chicago, says she loves holiday decorations, but to a point. “However you decorate, don’t distract prospective buyers from the space,” she advises, explaining that holiday decorations can cause clutter, which could potentially make a room or space look smaller. If your home is located in areas that get snow, be sure to keep up with snow removal on your driveway and sidewalks. Also, it is a good idea to ask visitors to remove their shoes so you don’t have salt stains on floors and carpets. Stay in Season One area where you likely won’t want to display holiday decorations: your listing photos. Jessica Edwards, an agent with Coldwell Banker Sea Coast Advantage in Wilmington, N.C., says holiday decorations can unintentionally date a photo, especially if the house is still on the market after New Year’s passes. Want to read more advice on selling your home? Visit coldwellbanker.ca!